Podcasting is a great teaching tool! Do you listen to podcasts? The number of people who do is exploding. Last year Edison Research found that one in four Americans aged 12-54 had listened to a podcast within the last month. And podcast listening grew 23% between 2015 and 2016. So the audience for podcasts is bigger than you think! To help provide context..the percentage of Americans who listen to podcasts is the same as those who use Twitter. Podcasting has been around for more than a decade. So why the increase in the last couple years? People are using mobile devices much more than they did three years ago. We’re also in a TV on-demand era, in which we watch and listen to WHAT we want WHEN we want it. When do they listen? People listen to podcasts anytime they might listen to the radio or music on a CD. This includes listening at home, the gym or while commuting to work. What are they listening to? The most popular podcasts are educational, current events-related or fictional series. Which teaching techniques are in your toolbox? You may have face-to-face strategies or written articles; you might also be using web-based tools, such as webinars, social media or blogging. Why not add podcasting? After learning more about podcasting from our IT department last summer, I agreed with them that this is where youth workers need to be – it's another tool in our toolbox of learning opportunities. Now there are more than 12 episodes in the Youth Development Podcast Series! "I love the podcast series! The podcast was a nice break from my day – the perfect length." "I really enjoyed each episode. There was a good variety of research and facts presented, along with people's personal stories to keep the material relevant and interesting!" Youth workers CAN podcast! Here’s how. The first step is to LISTEN to some podcasts. If you aren't among the one in four people who do – it’s time to start! If you don't know how to download or find podcasts, there are resources available to help. Common sources are Google Play or iTunes. Do you listen to podcasts for professional development? 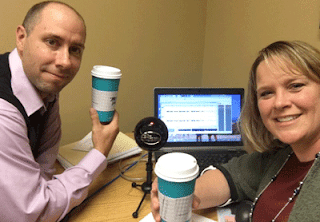 Do you use podcasting for teaching? If you are not a podcaster yet, have I convinced you to add podcasting to your teaching toolbox? I would enjoy hearing your questions, ideas, and reactions to podcasting, as well as your experience with the Youth Development Podcast Series after you listen! Thanks for sharing this post! I got talked into doing an episode in the Youth Development Podcast Series, and I found out that podcast creation is actually really fun. The style of our podcasts is like a conversation between two people, and if I messed up, we could easily re-record a certain section. I'd encourage others to try out podcasting too. And I hope you do another one soon!!! Thanks for pointing out our "style", I do enjoy listening to colleagues discuss what they know and share their experiences in youth development work - unscripted! As an organizational communicator, listening to the Youth Development Podcast Series is a great way for me to keep up with our faculty's work. It helps me stay connected to our team across the state and discover topics and people we might be able to highlight in other media. And, as a volunteer youth worker, I get to learn and use the insights I gain. What a wonderful resource! Thanks for pointing out the many benefits you see in this teaching tool, Erin! I started this podcast to facilitate a way for colleagues to have another tool to share their work - and have found I grow professionally from each conversation as well! I loved the opportunity to do my podcast! It gave me a chance to talk and think about my work differently and was really fun to enter into a conversation about it. I've been tossing around the idea of doing a few podcasts with youth about their use of technology and what they think that we as adults (youth workers and 4-H volunteers) should know about it. In fact, I've spoken with some of our Family Development counterparts about joining me on the endeavor to think about how we could frame it to be helpful for parents. I listen to our podcast as well as the one from Extension IT, but I didn't know about the other ones you mentioned! Thanks for the tip. Most of the podcasts I listen to are based on personal interest... I love the ones like The Moth or StoryCorps where people tell stories that influenced their lives in some meaningful way. From a communications perspective (ahem, Erin Kelly-Collins! ), it would be so cool to have a podcast where 4-H volunteers and youth tell the stories of how 4-H has impacted their lives for the better! And thank YOU for participating in the podcast's first LIVE recording!!! Its almost hard for me to record them now without the audience reactions and questions!! I'm glad I was able to connect you to a couple other Extension podcasts - and I look forward to hearing more about engaging young people in this format!!! Your suggestion has been noted, Dr. Frendo. As a community-engaged scholar, I find podcasts to be a great way to communicate important research in a way that is accessible and digestible to community members and practitioners. As you point out, Joanna, podcasting is another way for practitioners to share their scholarship in a way that is easily accessible! Your podcast, "We can prepare youth for college, but not in the way you think!" is a great example!! Great post Kari! I couldn't agree more that Extension needs to be considering podcasting more in our tools for education/outreach. There is something about podcasts that draws listeners into feeling part of a topic-based community, seemingly more so than some other channels. Maybe because it feels like being part of a conversation. I think that's what I love about it so much! I completely agree with Amy! I listen to A LOT of podcasts on my long commute. With the more informal ones, if you listen often, you can start to feel like you "know" the person (or people) -- like our T.E.C.C. conversation this morning with Mike R. It be a successful way to build an online presence that is authentic, and develops your credibility as "likable expert" (and that trickles up to the org. as a whole). It can also be a component of a larger online presence, allowing listeners to build community on another platform too (like FB groups). Thanks for a great post Kari! Amy - thank you for leading the way and helping us think about how U of M Extension can add podcasting to how we share information!! I have learned so much from the Quick Bytes Podcast - both the content you share and the way you create/deliver the podcast! Totally agree with the conversation-style format comment, as colleagues who have participated in the CYD podcast mention that the conversation style format has been an easy, comfortable and useful way for them to talk about their work!!! Thank you Kari for introducing a few resources for podcasts - I'll add them to my play list. You were right on when you mentioned the convenience of podcasts and where and how people listen. It is a great way to listen and learn while on the go -and because of the conversational style in many podcasts, it feels like a friend is right there with you. I like the educational topics that are introduced and explored and it also has introduced me to new technology I likely wouldn't have discovered on my own!